As the “First Lady of Radio and Television” Louise Morgan led the way for future generations of women in media as a program host, interviewer, and one of Boston’s most popular radio and TV personalities for more than 25 years on WNAC radio and television. 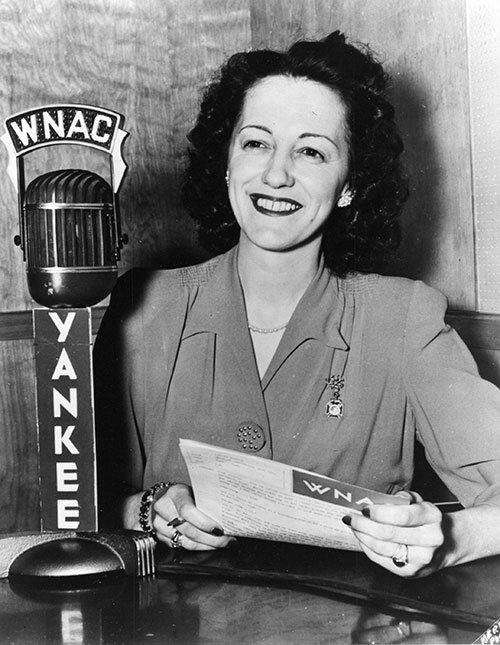 Louise Morgan was the First Lady of Television, going on the air in 1949 with a women’s show that had already been a success on Boston radio. But she was not your typical women’s show host. She was also a celebrity interviewer, and she got interviews with them all — movie stars, politicians, singers and fashion experts. Known for her beautiful diction, her elegant sense of style, and her theme song “Every Little Breeze Seems to Whisper Louise,” Morgan was one of Boston’s most popular personalities for more than 25 years.